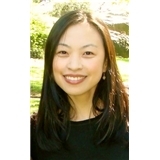 Vivian Lee MD PhD (New York) - Book Appointment Online! I maintain a practice in General Adult Psychiatry in New York City, where I provide evaluation, diagnosis, and treatment of psychiatric disorders. I also have specialized experience in women's mental health and can provide evaluation or treatment for issues related to menstruation, pregnancy, infertility, menopause, as well as treatment of psychiatric disorders through pregnancy and postpartum periods. I believe in gaining a comprehensive understanding of my patients to be able to evaluate their difficulties for proper diagnosis, as well as working with them to provide treatment tailored to their individual needs. I have expertise in psychopharmacology (medications) and psychotherapy for the treatment of psychiatric disorders, and thus am able to provide integrated and comprehensive treatment that is suited to each individual. Very kind and caring doctor. Her fee is a bit outrageous though!